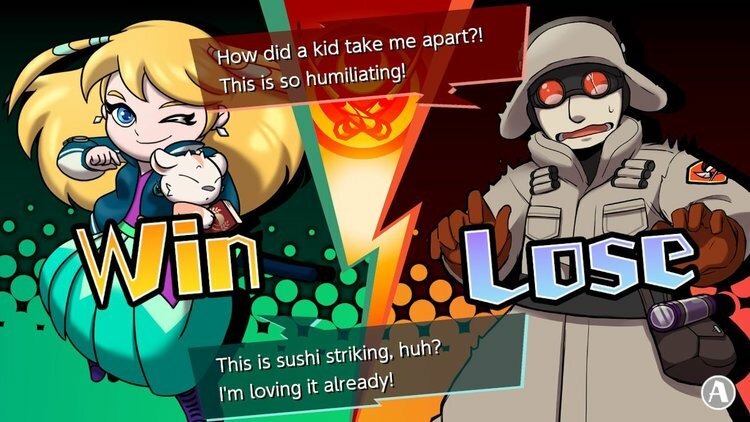 If you read my last post, you know what I love about Sushi Striker. As much as I adore this recently released 3DS and Switch game, though, it's not perfect. In fact, a handful of its components could be called honest-to-goodness turn-offs. They're not so terrible you should pass on the game, of course--I still put more than 51 hours into it, after all--but they're definitely occasional sources of annoyance. So, which components am I talking about here? Keep reading for all the not-so-gory details. 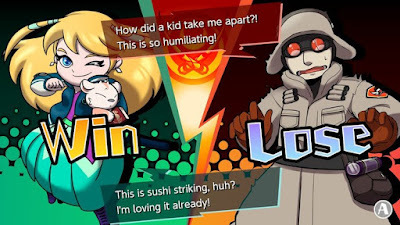 Sushi Striker does a horrible job of explaining how things work--I don't know if some of this information was "lost in localization" or if it wasn't included in the Japanese version either. 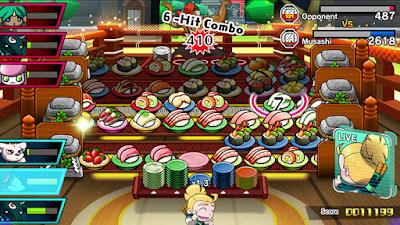 Whatever the case may be, Sushi Striker drops the ball--or maybe I should say plate--when it comes to educating players about many of its rules and gameplay quirks. It's nothing a little trial and error, not to mention a few trips to an FAQ, can't fix, but it's a bit frustrating all the same--especially after you become aware of just how much text has been stuffed into this fast-paced puzzler. It also doesn't make it clear which "Sushi Sprites" you can and can't recruit at any point in time--This is a big deal because not only are these adorable (at least at first) Pokémon-esque creatures one of the highlights of Sushi Striker, but they're also often the key to your success. The reason: they provide you with various abilities that can give you a leg up against your sushi-slinging opponents. To get these cuties to switch sides and join your campaign against the evil "Empire," though, you have to impress them in battle. I like that take on the "gotta catch 'em all" shtick a lot, actually, but I also find one aspect of it irksome. 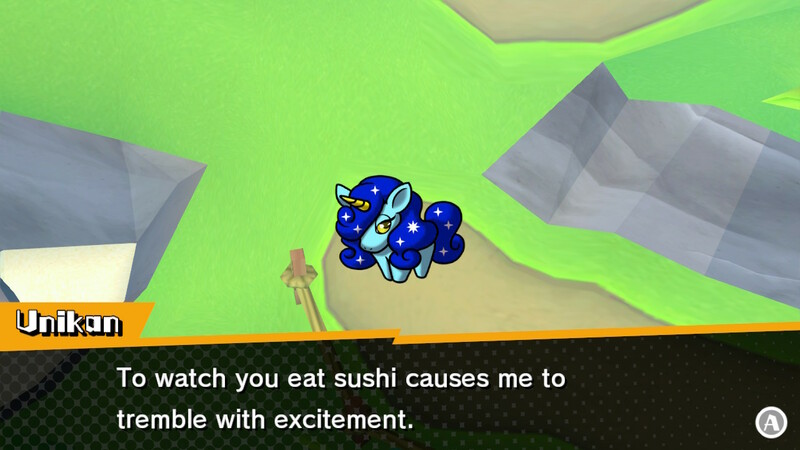 You see, it's not unusual to come across Sushi Sprites early on that you can't recruit until later in the story. Sushi Striker never tells you that, though, so unless you scan the web for this information, you may waste a lot of time trying to woo creatures that aren't, well, woo-able. 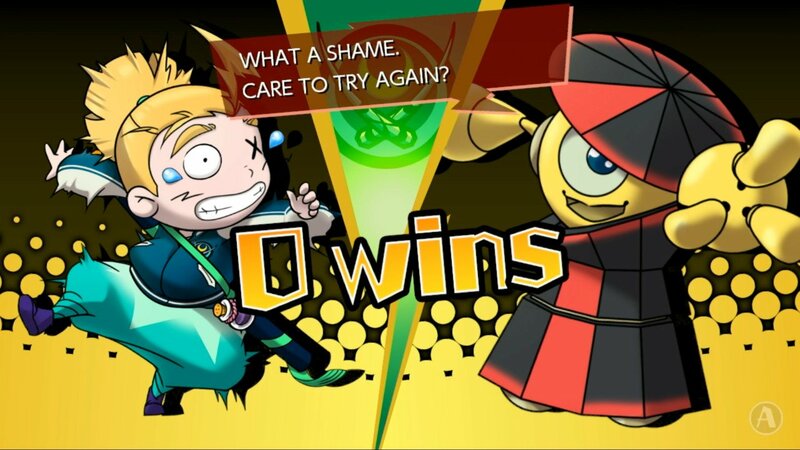 You have to put a good number of hours into the game before you unlock local or online battles--Get this: I had to play Sushi Striker for between five and 10 hours (sorry, I can't remember the exact amount of time) before I unlocked the ability to engage in local battles. Then I had to play another five to 10 hours to unlock the ability to engage in online battles. So, basically, it takes as many as 20 hours to open up a pair of modes that should be available right from the start--in my opinion, at least. 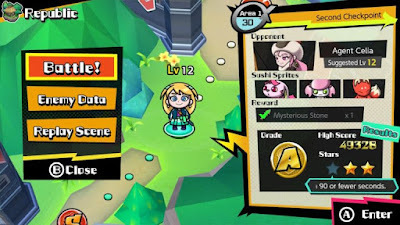 On a related note: I have to imagine this is the main reason it's so difficult to find strangers to duel while playing the 3DS version of Sushi Striker. It's nearly impossible to find a stranger to battle on line in the 3DS version--This may be the worst offender of them all. At least you can search the internet for help with the rest of the stumbling blocks mentioned here. There's nothing you can do about the lack of other players looking to take part in online battles. In the 50-plus hours I've spent with Sushi Striker so far, I've successfully completed exactly two such battles--and both were against the same person. Admittedly, they were laggy as hell and as such not a whole lot of fun, but I'd still pop into the "Arena" (where these matches take place) now and then if finding a competitor weren't such a pain. Some of the star requirements are completely ridiculous--When you first start your way through Sushi Striker, it's easy to be fooled into thinking it's going to be a rather straightforward and superficial adventure. Match plates, stack them, and throw them at your opponent--bada-bing, bada-boom! In reality, there's a lot more to the game than that. For example, you're given stars if you meet certain conditions, like, "use five skills or more and win." Collect enough of them and you're granted access to secret areas that provide you with the best (or at least rarest) Sushi Sprites around. The thing is, some of these requirements are ridiculous. Oh, well, nothing worth having comes easy, as the saying goes.